If you've ever tried to polish a piano without removing greasy fingerprints or wax build-up, you know it can create a streaky mess. Pre-Polish Finish Cleaner removes grime and wax before you polish. Gentle, effective, and safe for lacquer, polyester, polyurethane, and shellac finishes. 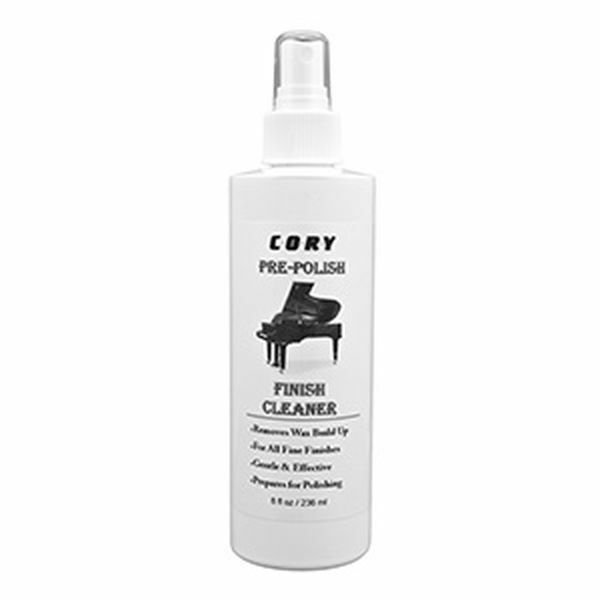 Cory Pre-Polish Finish Cleaner is environmentally friendly, non-toxic and safe to use as often as desired. Follow with polish, such as Cory High Gloss Polish or Satin Sheen.